AmazonBasics Portable Folding Fire Pit Only $39! Ships FREE! You are here: Home / Great Deals / Amazon Deals / Portable Folding Fire Pit Only $39! Ships FREE! 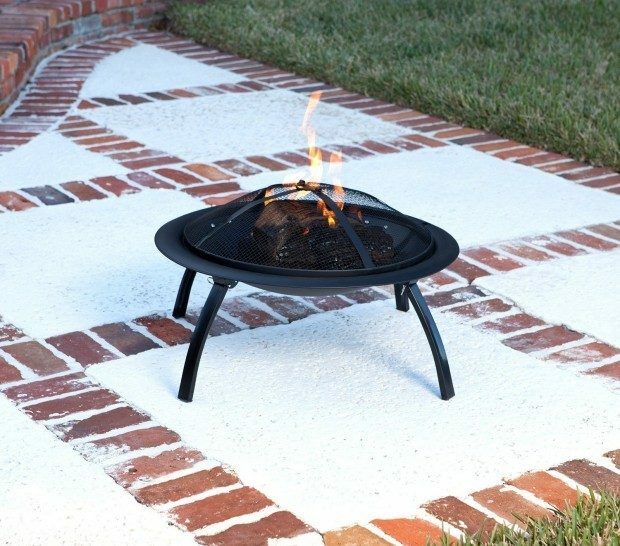 Portable Folding Fire Pit Only $39! Ships FREE! Head over to Amazon and order this Portable Folding Fire Pit Only $39! Ships FREE! From the backyard to the beach, this portable folding 26-inch fire pit from AmazonBasics makes it easy to up the fun factor of any planned or impromptu gathering. The unit offers not only the opportunity for a cozy crackling fire and the mesmerizing ambiance of flickering flames, but it also ensures convenient portability and exceptional versatility–nice features when it comes to the ultimate fire pit!